Most of us will never forget where we were June 25, 2009, the day Michael Jackson died. It’s something that is etched in my mind forever, similar to when John Kennedy and Robert Kennedy died. I specifically remember I was turning right onto a busy corner and heard “Michael Jackson dead at age 50” and then remembering not much else after that. I parked (a feat in itself in downtown Toronto) with tears streaming down my face. I was in utter shock. I it was like hearing a close member of my family died and my heart literally broke. My throat closed up and I could not speak or breathe. How could this be. It must be a prank, a joke… Sadly it was not and reality set in. I was sure that there would never be another dance, song or voice that would ever compare to MJ’s and I was right. I have tried to watch and listen to the “upcoming stars” that are winning the awards and have #1 hits on the radio. No one, in my lifetime and I believe my children’s lifetime, will ever have the “gift” Michael had and the goals he achieved in his short life. There are the Ushers and the Chris Browns but in every gesture, every dance step, you see Michael. He is in every singer and dancer today and I know he is looking down from heaven and smiling at this. He loved it when children, fans and dancers copied his moves, he was that giving, that loving and that humble. 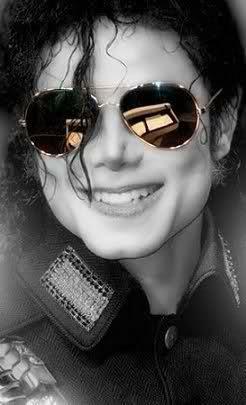 I will never be the same with Michael gone, it has changed me in both a positive and negative way. I must, however look at the positive. I have met some beautiful people who love Michael as much as I, there is a bond that no one can understand unless you are part of it, “the MJ family” as it is known. Yes, there is mistrust and sometimes disrespect in the community but there is also an abundance of L.O.V.E. I have always been proud to be a fan of Michael Jackson, my love for him began with “Ben” and has never ended. His music is part of my life and my children’s life. His legacy will never die. Art and Soul: A Spiritual Tribute is Siren’s first book, and what a wonderful book it is. It is approximately 40 pages long but it’s Siren’s artwork and poetry that she has continually worked on for many years that makes it seems much bigger as it is filled with beauty and pure love. I was blessed to get one of the first copies of this book and when I opened to read it, I was instantly taken in by the beautiful portraits of Michael that stand out on each page These pictures could have been a book on their own, but Siren’s beautifully selected artwork and poetry make the combination perfect and one can see that each page is heartfelt and personal to her. The poems are uplifting and thoughtful especially during this time of pain and frustration for Michael and his children, this little book lifted my heart and spirits high and made me forget about all these things for that moment and want to read it all over again. This book is one that can be kept by a bedside table or a nearby bookshelf to be opened and enjoyed when you have a frustrated heart or just miss Michael. Siren’s words resonate the meaning of love and honesty that Michael spread worldwide, his respect for nature, his integrity and especially his love shine through because of her interpretation, feelings and love for Michael in each of her seven poems. When reading through this book you can sense her love and connection with him and it makes you smile. The weaving of poetry and artwork flourish on each page and it would make an excellent gift to brighten up anyone’s day. 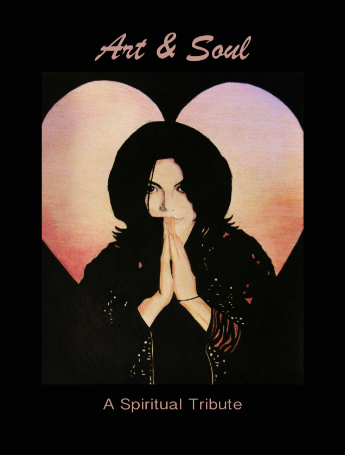 Another bonus is that all proceeds for every book sold go to children’s charity in Michael’s name. Siren continues to do this with her artwork sales as well. Please browse her website and help a child by purchasing one of her pieces or this lovely book. I highly recommend this book to any Michael Jackson fan and anyone who appreciates poetry and art at it’s highest. Please view the interview Siren gave SGAA and see what an inspiration she is to other artists and Michael fans. Note: Siren was the creator of Stop Global Airwave Abuse’s logo and I am forever grateful for her love and integrity while we were discussing our mission and our love for Michael. SGAA: I would like to welcome back Craig J. Baxter to Stop Global Airwave Abuse. We are very grateful Craig that you have taken given us the opportunity to talk to you once again about your wonderful new book Unmasked: A Revealing Look at the Fascinating World of Body Language. I first want to congratulate you on the success of your first book Behind the Mask: What Michael Jackson’s Body Language Told The World as it has reached #1 on Amazon and it’s reached this across 5 countries is that right? CJB: Yes, that’s correct it’s reached #1 in it’s category in 5 countries and it’s been overwhelming the success of the book and it’s brought together the Michael Jackson community and that is something I’m eternally grateful for. There was a lot of divide about Michael Jackson and I’m glad my book sets the record straight about what his life and what his body language was revealing when he was talking about those allegations of child abuse and what he was revealing when he was asked difficult questions by Oprah and Martin Bashir. Yeah, I’m overwhelmed by the success it has had and #1 in five countries is beautiful. I am really blessed. SGAA: So it really is an international bestseller, not many people can say that so I congratulate you, the community is grateful, I’m grateful and you wrote just a fantastic book. Your new book Unmasked: A Revealing Look at the Fascinating World of Body Language has reached #1 as well, you must be thrilled about that because it has nothing to do with Michael Jackson, it’s totally body language? CJB: Absolutely. As we speak it is #1 in the UK in behavioral theory and I’m overwhelmed at the success it is doing in the short space of time. I mean it’s only been out a month and it’s already taken the world by storm. It was always my aim to write a second book about body language because people were leaving me reviews on Amazon saying I’m thoroughly interested in body language and where can I learn more? I directed them to my websites and my you tube videos but I was conscious that I wanted to get some literature available on the topic because I use a lot of research from people like Dr. Desmond Morris and Paul Ekman so I assigned people onto their works because I wanted to contribute something else to the field of non-verbal communication because not everybody has an interest in Michael Jackson or his life but people have an interest in body language as well so I think it is a good way of having a balance between the two. It was a masterstroke really because I wanted to condense the subject down and that’s why my book is under a hundred pages because I must have read 50 to 100 books on non-verbal communication and they are quite heavy, especially if they are filled with a lot of technical jargon, so I decided to do a little bit of research on the psychology of people who buy books and what kind of books they like to read and the research I was doing was about the people that enjoy reading books that are under 100 pages long so I thought that was my starting point, trying to condense a very sizeable subject into bite sized chunks as well as a make a practical guide and I think that’s one of the reasons why it’s doing so well because it’s not a heavy thick textbook and it doesn’t blind you with science. It gives you practical examples on how to use your new-found skills and apply them into real life. SGAA: Absolutely. I loved reading it and it’s a very easy to read book and it’s very simple like you said. I really got a lot out of it and when I look at people now, I kind of look twice. You have quite a following now and you have worked extremely hard to get it to where it is, why do you think the interest of non-verbal communication and/or body language is becoming so popular? CJB: Excellent question. I think that people tend to forget that there is a thing called “Body Language” and I think once they read up on the subject they are instantly hooked because who doesn’t want to know when someone is happy, sad, angry or frustrated without having to ask them? All those signs will be there, being leaked out by that person’s body language by either their posture, their movement, expressions, or gestures and all these movements have a specific meaning. It’s all about educating yourself to what these meanings are and that’s the beauty of body language because throughout your daily life you have to interact with other people and that is the beauty of human behaviour and when you engage others int non-verbal communication, they themselves get hooked because it is a fascinating subject about learning and educating those who have difficulty in communicating verbally. A lot of introverts have great difficulty in communicating verbally with others but they can do it on a subconscious level with body language with things like mirroring techniques and others as well. Once you’re hooked you instantly try to find people who you can “people watch” . The TV show “Lie to Me” has also helped with the popularity, especially in the modern era with body language, but I have concerns with “Lie to Me” that I will cover later on but the beauty of body language is once you understand the meaning of what’s behind certain expressions and gestures it’s quite remarkable how similar everyone else’s behavior is like to ourselves. We are generally speaking from the same race, Homo sapiens, we display a lot of universal behaviors but we also display behaviors which are idiosyncratic which would be in our quirks and our mannerisms and once we understand what those mean in our conversation we can better understand them on a verbal and a non verbal level. I think that’s why it is becoming so popular and I’m so glad I’ve been able to contribute to this wonderful subject and the success has been unbelievable and humbling. SGAA: Yes, it’s wonderful. So was that your main reason for writing Unmasked? Was it to to get the layperson to understand the language? CJB: Absolutely, the main reason for writing Unmasked was to contribute to the field of human behaviour & human body language. My intention was to write a short guide where could utilize the techniques immediately, like I said before there’s a lot of literature on human behaviour and body language which is listed either myths, misconceptions, a lot of filler and a lot of unnecessary information. After speaking with friends and family and those who are already in the profession, like Joe Navarro who I will speak about later, gave me some great advice he says, that “trying to condense a subject down will bring in a new audience” and he was absolutely right so that was the master stroke of writing Unmasked. SGAA: It makes so much sense. CJB: It does, and that’s the best part of it. I could have avoided that advice and just wrote a book about human behavior that was 500 – 600 pages long and that would have been a problem for me because that would have taken me a lot longer to write. So I wanted to get Unmasked out because Behind the Mask had come out in October and I was conscious that people wanted more and had really enjoyed Behind the Mask and they wanted me to write another book and I didn’t want to leave it too long because they would forget the name so I was conscious of while the going was good — you know, it’s a snowball effect . SGAA: It is. I question, is that why the word “Umasked/Behind the Mask” ? You use the word Mask as title of both books, is that something that you’re going to continue if you do other books? CJB: I don’t know yet. SGAA: It’s a great idea. CJB: Yeah, I think you’re right calling it Unmasked is a master stroke again because it forms an association with people with the mask thing, it’s like “Oh, Craig James Baxter? Did you read Behind the Mask, oh did you read the other one on mask? People remember that whole association, I don’t know if I will do it for the third time. I’m currently writing another book which will be out in a couple of months but I’ve not christened the title yet, I don’t know whether I’ll cover the mask theme because I don’t want people to think that I’ve got some sort of fetishes with masks, my credibility will be down the tubes. It’s interesting because it was one of my clients that actually named the book because I had great difficulty with the title for the second book and I had finished the book, it was edited and it was ready to go off to the publishers and I didn’t have the name for the flipping thing and it was sleepless nights. Then one of my clients that I see on a regular basis said, “Oh Craig, you should use the mask theme” and I said, “I hadn’t even thought about that, you’re right” and we did some brainstorming and then it just hit me “Unmasked” and I thought that’s exactly what I’m going to call this book. So it wasn’t my idea it was somebody else’s. It just goes to show when you ask for help, you receive it… you take the advice and it’s worth it. SGAA: The thing I loved about this book was it almost seemed at the beginning very personal to you. It was a very personal book and I loved in the preface you tell a wonderful story of how your meeting with a young deaf woman during your college years brought you to the realization of how interested you were in the art of non-verbal communication. I was wondering why and how the effect of this lovely girl has changed your life and what would you say to her today if you were able to meet up with her once again? CJB: Wow, that’s a very interesting question because every time I think back to my college years that reminds me of my starting point in behavior and human body language, obviously I didn’t know it at the time because I was only 16 and I didn’t realize the significance of observing of this lady communicate via a series of hand signals and facial expressions and quite frankly, she changed my life because if I hadn’t met that woman, and I think her name was Katy by the way, we only spoke for a few months and it was a long time ago, I mean it was over 12 – 13 years ago, but I’ll never forget her face and I’ll never forget those hand signals and those body language gestures she gave off to communicate because obviously she was hearing impaired. She changed the way I watched people and I listened to them and I changed the way I communicate as well through my body language and it was her behavior that sparked my curiosity and now I’m a two-time best-selling author which is quite unbelievable considering I have only been in this profession for 10 years. If I was to meet up with her — I wouldn’t know what I would do to be honest with you because I would have to sign to her because she wouldn’t be able to understand me but I have done a course in sign language many years ago, which I really enjoyed but the repetitiveness of what we forget is astonishing because I can’t remember half of what I’ve learned in the sign language course because I don’t utilize those skills and I don’t know anyone who is hearing impaired so I can’t utilize the learning I once had. If I was to meet that girl, I think her name was Katy, I can’t be sure, it was a long time ago, it was one of the most significant moments of my life. She has literally changed my life. SGAA: It’s a wonderful story, I loved it. CJB: Thank you very much. SGAA: It would take a very long interview to discuss all the interesting parts of body language, I think the one and most important question is the beginning of analyzing a person’s actions/reactions to find out their baseline, can you explain that a little bit? CJB: Absolutely. A baseline is wear you can confidently predict the behavior of somebody because you are acutely aware of the behavior they display when they experience any given emotion or whether they are experiencing any emotions at all. We have a remarkable style of personal body actions that we always display and, figuratively speaking, we don’t often change our body language day in and day out. We do the same things over again, we flash the same series of gesticulation we use in our communication with other people and the vast majority come from our subconscious mind, meaning that these are very reliable indicators of what we are thinking or feeling or what we are intending to do. A baseline comes from watching and remembering the behavior of someone you know quite well and that is where, for instance Kat’s (Craig’s partner) baseline is when she is feeling quite sad she will withdraw her hands quite a lot and she’ll avoid eye contact which is a classic indicator of sadness as well so I’ll know when Kat comes home from work if she’s had a really bad day, I will know straight away because of the behavior she’s displaying is linked is with the feeling of sadness because I have seen that behavior before you see. If you remember the situation of why it happens – that is her baseline – just like I will have my baseline – when I’m happy, when I’m sad, when I’m frustrated, when I’m angry and it’s how you predict behavior and how you communicate with that person because you know what that baseline is and you will know if they want support or want to be left alone, whether they will want a hug or a kiss and that is part of the baseline and it’s about how you respond to the non verbal behavior that they are sending out to you and as long as you know what that non verbal behaviour means, you’re in a better place to help them with their situation or if they need space and that’s the importance of the baseline, it stops you from asking if there’s an issue because you know if an issue is present by the behavior that you see in them. We’re always aware of baselines because whenever I talk about this with my friends, and I’ll say “what kind of behavior does Chris do”? My friend Erik will say, “Oh, he does this kind of thing, what does this mean”? and I’ll say, “well that means, this and this and this… but it’s good that you’ve noticed that.” So on an subconscious level we are always scanning our surroundings and our friends and family and it’s amazing what kind of behavior you pick up from them that the display all the time and you might realize it or you might not but that their baseline behavior, that’s their behavior they display when things are normal. SGAA: Right and that takes you into figuring things about them at certain times. CJB: Absolutely. When that behavior deviates from what they do normally that’s when, generally speaking, issues are present and that’s the beauty of the baseline. SGAA: You also talk about in your book some of the myths in the realm of non-verbal communication. Many of these are what people believe to be truth, can you explain one of the most common myths? CJB: Yes absolutely. From the most recent research I did here in West Lancashire, it was still the eye contact myth associated with lying and deception. SGAA: That’s a big one. CJB: Yeah, that is a big one. The research that I did here in West Lancashire is that there is a firm belief that people look away when they are lying. Of all the questions that I asked people that was the one that came to first. It’s when someone looks away that means they are lying. This myth has grown in popularity over the years, not just here in West Lancashire but all over the world and it’s not true, it’s exactly the opposite way around and I don’t know why that school of thought has become popular because the actual truth of this is that a liar is more likely to give you greater eye contact because he wants to see if his lies are being believed so naturally they will start to increase eye contact during the lie so they can weigh up whether that their lie is being taken in by yourself by either a verbal or non verbal reaction so to speak. A liar will consciously avoid looking away because that behavior looks suspicious so they will purposely avoid looking away, they will purposely increase eye contact with you because they want to see if you’re taking in their lies and that’s another interesting point of view. People don’t remember that, they are looking for people who are looking away and it’s not that, it’s the other way around and a great training provider in the U.S.has done a lot of research on this this and Dr. Frank, Dr. Masimoto and Dr. Ekman have done a lot of research on this as well as many others. It’s interesting because the eyes communicate so much, we make less eye contact with people who invade our personal space and we certainly make less eye contact when we’re embarrassed. On the other side to this we make greater eye contact with those who we perceive to be of a higher status then ourselves, if we are at work and there is a hierarchy you know I’ll engage with greater eye contact with my boss and his boss. Another myth associated with eye direction which has become quite popular is where a liar looks up and left or up and right when they are fabricating a story opposed to recalling information. Again there is no evidence that it suggests that is the case either. This is the myth that I got sucked into many years ago because I read a lot of literature on NLP which is Neuro-Linguistics and it looked so convincing. It wasn’t until I started to delve into the subject on a technical scale of body language and I realized that there is actual no evidence at all that liars look at a certain direction. There was a study done from the University of Edinburgh last year that validates that claim. There is no association between truth telling and deception in the direction the eyes go. Another myth I found is that people often thought that looking up and left and up and right was a sign of deception where there is no single indicator of deceit. There are clusters of behaviour that have an association with deception but nothing is certain in everybody. SGAA: You discuss the TV show “Lie to Me” briefly in your book, I was wondering whether or not you felt this was an accurate portrayal of non verbal communication, liars and facial expressions? CJB: This is a great question, I thoroughly enjoyed the show and was sad to hear it was cancelled but I kind of understood why it was cancelled. To answer your question “Yes and No” It was a great show because it brought the reading of human body language into a modern era and the science that is actually used in “Lie to Me” is the research from Dr. Paul Ekman, who is the very famous facial expert in the U.S. and the actual lead character Dr. Cal Lightman is loosely based around Dr. Ekman himself, so the show starts well and the research that is used in the show … there is something called Facial Action Coding System and that is something that Dr. Cal Lightman is very adept in his reading of the micro expressions of people. I think that the area that it falls down in “Lie to Me” is that Micro expressions have an association with deception, meaning that everyone that flashes a micro expression is lying and that isn’t the case. All micro expressions are is signs of issues present or concealments in the body. They can be concealing any given emotion, which is not necessarily linked to lying and deception and I think that’s one of the reasons why “Lie to Me” — well I know the ratings dropped in Season 3 and I had the wonderful opportunity to chat with Dr. Paul Ekman last year about his involvement in the show and he was telling me that for the first two years that the Director of the show was very well versed in Dr. Ekman’s research on human emotion and human body language on the face, but I think in the Third Season that particular Director left and the show started to rely on unscientific research that wasn’t of Dr. Ekman’s and I think that was one of the reasons the show was cancelled. The show deviated from the science and the structure that the first two seasons had and I think the third season, and I have not watched it in a long time, it wasn’t as good on a scientific level then the first two seasons and I think that’s one of the reasons why it was shelved. I think the show also made the mistake of having the association with the facial expression of contempt has an association of deception as well. Although that is true in one regard but also the smirk can be present when you feel someone is being incompetent or you feel superior to somebody else which is not necessarily 100% reliable in deception detection and I think thats another area where I think the show failed. I think the show was great and the first two seasons I was really interested in micro expressions and fleeting expressions of the face are very interesting. Take it with a pinch of salt, that’s all I would say it’s not, well I didn’t put this in the book but Dr Maureen O’Sullivan — If you type her name into you tube you will find her work with the TV show “Lie to Me” she is quite critical of the show but I won’t get into that too much but it’s available for you to look at on You Tube if you’re interested in learning more about the show. SGAA: In your chapter on Cultural Differences, I loved your analysis of these non-verbal differences while visiting Ground Zero in New York City wonderful and fascinating, can you tell us a little about that visit and what you discovered while being there? It was very interesting especially with the heightened emotions of being at Ground Zero which was a very sad time for everybody there. I was conscious of my emotions and I also wanted to get an understanding of the emotions of others and see what they were displaying. I was quite thankful that on that particular day there was a variety of different cultures at Ground Zero and I remember seeing a Chinese family huddled together and lowering their heads and that display is very much in keeping with the cultural keeping in China and in he Orient where it is a sign of submission, a body lowering thing and a sign of respect which I thought was very interesting. I could also hear the American accents and I could hear one particular family and there was a lot of anger there a lot of lip biting. One thing I didn’t put in the book because it was a bit controversial is while I was there watching this, there were a few street vendors selling calendars believe or not — and the pictures on the calendars were of the plane hitting the twin towers and a fight nearly broke out. It was unbelievable, I had never seen anything like it and the anger in people’s faces, I mean I myself felt disgusted and angry and I was in the grips of an emotion at that point because I had never seen anything like. Here I am trying to pay my respects without being too obvious looking at other people’s behavior and engage their reaction into what’s happening and there’s these street vendors selling these deeply offensive calendars of the plane hitting the twin towers, I couldn’t believe it. I didn’t put that in the book because I didn’t want to upset or offend anyone because that wasn’t my intention but it was something that was deeply appalling and then I felt my emotions heightened then you see, I was already experiencing a great sadness at being at Ground Zero because at the back of the Twin Towers there is a church there as well, and one lady was telling me that during the aftermath the church was undamaged. The devastation on that day and they were telling me this, it was just so humbling I almost felt like crying because so many people died in the spot that I stood in. SGAA: It is amazing. I’ve never been to Ground Zero and I guess there is a reason why I don’t want to go but I can imagine it must be horrifying. CJB: Yeah it is. You think back to what happened on that day, I mean I will never forget what happened on that day. That was twelve years ago and it’s still fresh in my mind and I’ll never forget that and being at that place where it happened and my emotions were just on overload. It’s any wonder that I saw a lot of anger from the American people and the Chinese family bowing their heads. It was very significant behaviour. It was very sad. SGAA: I loved the way you added this portion into your book, with this chapter I thought it was very well done and respectful. CJB: Thank you very much. I had another problem on the subway as well, which was more comical than anything else. Being on the New York subway really opened my eyes to the wonderment of New York city and I remember having a little too much to drink one evening and we were getting the subway home to our hotel and it was jammed and I remember these two humungous guys got on the subway and I’m quite a big guy, I’m 6’2″ and these two guys got on and they dwarfed me and made me look like a midget. They came and stood right next to me and I remember one of them flashing me a really forced smile and acknowledgement that he was going to have literally as close as Kat would stand to me to kiss me, that’s how close he was and this guy was humungous and I thought if this guy started a fight, I wouldn’t last a second because he was like a body builder, he was massive and my instinct was to make a territorial display of literally widening my stance so I could take up more room so he wouldn’t hurt me. That was my subconscious kicking in but once I couldn’t do that because of the space I was in, I found myself hunching down which is called a “turtle effect” where you lower the head and raise your shoulders up, where you are subconsciously trying to make yourself smaller but if he was thinking of attacking me, that’s the perfect behaviour an attacker is looking for, somebody who looks weak, who look submissive and looks like that they are unable to defend themselves so my subconscious is almost letting me down in some regard but thankfully nothing happened and everything passed off well and I think they got off on the next stop but it’s something that triggered in my mind that I consciously tried to make myself bigger but I couldn’t because I was pinned in like a sardine on that subway. SGAA: In your book, you developed case studies which I thought were unbelievable, they were so well done and made it so easy to understand. You developed case studies on certain scenarios to figure out that one must be able to look at a situation before making any type of analysis. It’s not just about reading a person’s eyes, body, etc, it’s also about being aware of things around you. Why did you decide to go the route of case studies and did you feel it would be the simplest way to get the reader to understand the scenarios? CJB: Yes, you’re right. I added the case studies in there because I knew people were itching to use their new found skills immediately and I felt the best way to do that was to put practical examples in the book. As soon as you would put the book down you could go utilize the skills you just read in the book to practical and applicable use and that is the reason why because I have read many books on human behavior and it’s amazing how none of them give real life examples of how you can go use the skills you have learned so I thought that was a master stroke of doing that. I also thought that it would be a redundant subject if I just wrote about human behavior and human body language and didn’t give any examples that it would be redundant. You would read it and think it interesting but then you would put it down and wouldn’t think to utilize the skills. It would be an interesting read but that’s not what I’m after, I’m after you to utilizing the skills that you’ve just learned in the book and then put them to good use and educate other people. Like I mentioned in the book there are a lot of myths associated with body language and if i can educate you the science and the research behind this wonderful subject then you’re educating somebody else on the right way to read body language and that was something that I wanted to do, I wanted to dispel the myths that are out there in human behavior and the best way to do that is to educate people in the right way to read body language and the right way to educate others and avoid the myths and the pitfalls. Eventually it will snowball and people will eventually think, “actually yeah, I have read that book from Craig Baxter who said liars don’t look away, they look at you.” It was the best way to get the message out there by putting case studies in there and especially on — one of the case studies was how to spot when somebody lies to you and spotting lies and deception and give you some research techniques and again with the job interviews. CJB: The job interview was the first thing I wrote because it is so necessary in today’s society. With much of the developed world in recession, especially here in the UK with redundancies at an all time high, unemployment is at an all time high, there is such importance to go out and find work and obviously, money plays an important part in the quality of life that you have. If I can educate those on how to make a good silent impression during a job interview then you can go and use that skill right away. If you are unemployed, to go and find or get yourself an interview and then coach yourself at becoming better at doing interviews. Even if you just apply the steepling gesture now and again, that would look a lot better if you didn’t do it and that just might be enough to get you that job. Don’t forget it’s all about first impressions on a job interview, you have to have the right resume and the right CV but if you can nail your body language on that, then you have a better chance then if you didn’t rehearse your body language or if you went in unprepared. So again, it’s giving something back to the reader as well. I’m conscious that the success won’t last forever in human behaviour but if I can write something that someone can go out and use right away and then gain employment by what I’ve written in the book, even if I reached out to one person, then it’s enough for me. I was going to add another third case study in there about flirting and dating and I was mulling it over but I’m actually, in the future, going to write a big book about flirting and dating and the signals, the gestures and the expressions that are displayed during courtship, dating and marriage so I was going to test the waters and wet the appetite of my readers but I thought I don’t know whether I should do that and I’ll just stick to two case studies. If I do have one regret of Unmasked it is that I should have added a little bit about flirting and dating just to cover that aspect and I may have gotten more of a readership because it is a big area but that will be something that I will cover in more detail later on in my career. SGAA: I also wanted to ask you a question about academics. I understand that some of your body language expertise has been used in some schooling is that correct? CJB: Yes, that is correct, yes… I think it is the University of Miami Dade. It’s being used there in this semester to be used to analyze Michael Jackson’s body language and it was quite unbelievable when I had the email sent through to me and when the professor asked me if he could use my research into Michael Jackson’s behavior in his classroom. I said, “absolutely” that’s just incredible, you dream about things like that. So yes it is true that Behind the Mask is being used currently in a University in Miami and that’s something that is overwhelming for little old me. Here I am in West Lancashire and yet my books are being used as a research tool over in the States. You can’t ask for anything better than that. SGAA: I know Craig that you have interviewed many of the top Body Language experts in the world, can you name a few, maybe even one that has really made an impact on your life? CJB: Wow That’s a difficult question. I have been blessed to interview over 25 of the world’s leading experts in human behavior, human emotion, body language lie detection and all of them have contributed massively to this field and it’s a real pleasure to showcase their contributions on all of them on bodylanguage.com but to try and single one person out…. SGAA: You don’t have to single anyone out, you can name a few..
SGAA: I’ve read some of his books. CJB: Yeah, Joe is a serious legend. I am forever indebted to Joe for the advice he has given me over the years but he put the application of non-verbal communication to practical use during his time with the Federal Bureau of Investigation and if you type body language into Amazon here in the UK, his book “What Everybody is Saying” has been number one for many years. It’s quite interesting because many years ago I actually submitted an article on body language to Joe and he sent it back to me with some really sharp criticisms and I was taken aback by it. My emotions were triggered right away and I was angry, very unhappy, and it left me never wanting to write another thing about body language so I left it for a couple of days because I was furious and I was in such a bad mood and then when I opened my inbox and actually read what he said to me, it was different than what I had actually perceived what he said. Yeah he was unhappy about the things I put in there, but he gave me a lot of amendments and gave me a lot of areas to concentrate on and again, it was after I got out of the emotion that I felt at the time which obviously my behavior wasn’t necessary because what Joe had actually put in the email was very helpful but I didn’t see that at the time and that is the beauty of emotion. I am forever indebted to Joe because he has put me on the right path. Like I mentioned before, there are a lot of myths associated with body language and these are the myths that I got sucked into many years ago when I was just starting out with human behaviour and human body language because there are a lot of books associated with body language myths and I fell into that trap and I’m glad Joe pointed me in the right direction many years ago, otherwise I might be education people now on the unresearched (sic), unscientific realms of body language. It’s interesting coming back to emotions, the second person on that list is Dr. Paul Ekman and his cross cultural work on facial expression revolutionized the topic. It was his research on the seven universal emotions and how we look at other human beings. He revolutionized the topic and his involvement in the TV show “Lie to Me” helped the popularity of that show the last couple of years and Dr. Ekman is still going and I believe he is in his mid 70’s and I interviewed him last year and his books are remarkable. “Emotions Revealed”, “Unmasking the Face”, “Telling Lies”, these are classic books on the subjects and I will be forever indebted to Dr. Ekman for his advice that he has given me over the years about which areas to concentrate on, which to avoid and just to be granted a half hour with him was incredible. Imagine little old me from Lancashire being granted and interview with the world’s leading expert in human emotion, I’ll never forget it, this guy has met the Dalai Lama and many others so it was really quite humbling. If I had to narrow it down to the one, it would have to be Dr. Desmond Morris. This guy was the reason why I got into human behavior in the first place, obviously it was watching Katy’s sign language that captured my interest when I was 16 but it was his books that I read on the topic. “The Human Animal” “The Naked Ape” and “People Watching”, these are the cornerstone books, the pioneering books on human behavior so I hold him in the highest esteem and he still is considered to be the world’s leading authority on human behavior and I think he is 85 and I’m in regular contact with him now, we email now and again, he sends me photographs of his favorite body language pictures and we’ve got a really good connection because obviously he’s a zoologist and his studies of animals and animal behavior is legendary, the guy has authored 50 books and I have two Bengal cats here, Kat and I do and they look like leopards because they come, many years ago, from the Asian leopard cat and I think Desmond Morris is a big cat lover because he wrote “Cat Watching” and a few other books on cat behavior so we have common ground not only do we have an interest in human behavior, human emotion, human body language but we also have the love of cats as well we have common ground there as well. I’m forever indebted to Desmond Morris because he was the big one that I really wanted to interview, I interviewed Dr. Ekman and that was overwhelming but trying to find Desmond Morris was so hard, I must have spent three or four years trying to find Dr. Morris and I eventually got a hold of him and the rest is history. SGAA: Wonderful. Speaking of animals, there is a real correlation in interpreting facial expression in animals. Even with chimpanzees and dogs and cats. As an aside question, I am a big fan of Cesar Millan. Do you believe he is more of a body language expert with respect to animals? CJB: I don’t know much about his work so I couldn’t really pass a comment on that – Cesar Millan, is he the guy who?…..
SGAA: He’s the Dog Whisperer. CJB: That’s it, yes. I think there’s a lot of science involved dog behaviour certainly, but I don’t know how much is staged for television but it’s not something I know much about I’m afraid. Zoology is something eventually I would like to learn about. SGAA: You’ve got to get into that Craig. Especially with you’re kitties. CJB: It’s not something that I know much about. Desmond Morris would know all about that I can assure you. SGAA: You discuss in your book how the internet, social media, etc will affect the science of body language in the future, can you elaborate? CJB: I have my concerns on how society will eventually end up because of the rise of social media, eventually it may result in the homo-sapien being more recluse because all of the daily essentials can be delivered to the house. We could be chatting to your friends, like we are — you’re in Canada, I’m here in England and that’s great but if you live around the corner and I was communicating via Skype or via Facebook, I’m eliminating the need to meet up for a coffee or a drink but I can do that online now just by using words without actually communicating with my voice or with my body language. I foresee problems in the future where it may certainly be an issue maybe not in this generation and I’m only 29 but in my children’s generation the comfort that the laptop screen or computer screen will bring someone because they won’t have to leave the house..
SGAA: And the I phones and texting, I mean my daughters text me from the other room. CJB: Exactly and that’s a trivial example but if this starts to spread then there’s going to be huge implications on the study of human behavior because I think it will become a lost art. People will become so used to using instant messenger or using communication where you don’t need to meet up anymore. There’s no need to meet up for a coffee, there’s no need to go down to the local pub, there’s no need to go to the supermarket anymore because you can order all your food online and have it delivered to your house. There’s no necessity to leave the house anymore. SGAA: Words are often very strong Craig and you may not mean them a certain way but this are how things start to get out of hand. CJB: Yeah, you make an excellent point there, and that just further illustrates the problem I foresee with social media. I was writing another book before I started this one on emotion which I will come to later and I was thinking about if all these types of technology now are geared up to communication, eventually there’s going to be a huge problem and there’s going to be an overload of electricity and it will only be a matter of time before the electricity company’s generators and power stations start to reduce their power and eventually their might be so much demand for electricity in the homes that they won’t be able to cope and the service will break down and then there will be no electricity for anybody and then there will be a problem. Then you’ll have to go outside and you’ll have to communicate with others because if there’s no electricity in your house there’s no way you can communicate with anyone. You can’t charge your phone, you can’t use your computer, you can’t use your laptop, unless you have a generator, but if you don’t then you’re stuck and then you’ll have to resort to human behavior and human contact. That’s something you have missed because you’ve been using the internet to rely on communication so it’s going to be very interesting to see how it all ends up. I think the demand for energy that these devices are going to need, eventually might be the downfall, so we’ll have to see where it ends up. SGAA: That’s why you have to keep writing your books. So we can read. It’s always so important to read, I can’t look at the computer all the time I need to have a book in my hand. Whenever I buy your books they are always hardcover because I just like the feel of it so it’s important. Go out there and buy the books. You have said that something that fascinates you is how subconscious and immediate emotions work together. Can you explain this? CJB: Yes, absolutely. Emotions are reactions that seem to be very important to our welfare and these happen subconsciously and immediately. To give you an example I was driving home from work last week and some mindless nitwit pulled out in front of me and before I had to consciously consider the situation my subconscious had moved the steering wheel out of the way of the car in front of me that had pulled in front of me and I applied the break and all this happened roughly within four-fifths of a second, as fast as that, and that just triggered my emotions then to write another book because it is amazing how our emotions are constantly scanning our surrounding. This is called our “emotional alert data base” so our subconscious is constantly scanning our surroundings for any threats or any perceived dangers and it will change our body language to adapt to that situation and each emotion has its own set of behaviors and physiological behaviors like with the fear response I felt. I would have flashed fear on my face instantaneously, I wouldn’t have had to consciously contracted those facial muscle, my subconscious mind would have done it for me, in the same way it elevated my breathing rate and my heart rate so the experience that I felt fear and my body is telling me to be alert and that’s why it’s elevating my heart rate, it’s giving me pupil dilation, it’s elevating my breathing rate and it’s diverting blood to my arms and legs to be ready to fight or flee and that is the beauty of emotion. That’s why I’m writing a book about emotion. It’s something not a lot of people really consider because we’re not always in the grips of an emotion because emotions generally come and go but when we are in the grips of emotion, it’s interesting the behaviour that we display and that is the beauty about emotions because behavior and emotions are directly linked together you see, it’s really interesting. SGAA: . That is interesting. Yeah and it’s the universal facial expressions. We were talking about Dr. Ekman that there are generally considered to be seven universal basic emotions that we all feel and flash on the face: Happiness and sadness, are the two that are linked together; disgust and anger, fear and surprise and contempt and these are the seven basic emotions that we all flash regardless of age, gender, ethnicity, culture. If you were to go to the indigenous tribes of New Guinea and if someone was to flash you disgust it would be the same expression as if it was a German banker or if it was someone from Australia, South Africa, British, Canadian, it would register on the face in the same way and some emotions are universal like that whereas Some emotional sensations are different, for instance, I am frightened of heights, so that gives me the fear of response, whereas my dad was ok with them. My dad doesn’t like spiders, but I’m okay with them. It’s interesting how we have universal triggers for emotion but some things are specific to us like phobias and things like that. It’s quite compelling how we can identify with people because of the emotions they display and like I said to you before, each emotion has it’s own unique symbols, with the most identifiable being on the face and then the voice. It’s also interesting how we display emotion is how we display them differently when we are with our friends and family then we are with work colleagues. It’s the management of emotion that will be interesting. It’s thoroughly interesting stuff. SGAA: My final questions Craig are for Michael Jackson and the MJ community. I know you have spoken about this a number of times on radio shows but I really wanted to cover your book first of all because it’s such a great book — but I know you did a 2 part body language Analysis of Wade Robson, who is now accusing Michael Jackson of molesting him for a period of 7 years. I don’t need you to go into a lot of detail but I would love it if you could delve a little further into some of the major things that you found and why you came to the conclusion that you thought he was being totally untruthful? CJB: Well you make a good point, and it’s something I have done a lot of research on during the last couple of weeks is Wade Robson’s behaviour and I think before I go any further, the idea that a child sexual abuser would have as their first witness in the 2005 court case, somebody that have sexually abused for seven years just speaks volumes about these allegations. I don’t see any truth in them and it’s Wade Robson’s behavior that reveals, in my opinion, that he is being untruthful about these allegations and he makes a lot of, what are known as emblematic slips, and these are the gestural equivalent of a “slip of the tongue” and it’s brought about by these asymmetrical shoulder shrugs. When he says Michael Jackson abused me, if he had abused him he would flash an asymmetrical shoulder shrug which correlates the message of that I have no real confidence in what I’ve just said. In his behavior he also makes a lot of mouth shrugs as well, where he shrugs the mouth and that’s an inclination of that he’s not really sure of what he is saying and what the main area I found with him is he would parrot back what Matt Lauer said to him. At the start he asks him “What you’re mind set right now?” and he said the same thing, “What’s my mind set right now”… and that’s when you’re not really prepared to give an answer and the most significant part of that is I think when Matt Lauer asked him, “Did Michael Jackson sexually abuse you?” And then Wade Robson instantly parrots back and says, “Yeah, Michael Jackson sexually abused me.” It’s things like this where he is unwilling to give any more information about his testimony and again, that to me is a real inclination of somebody who is having difficulty in describing what happened to them because in my opinion it never happened and he knows that and I think that’s the reason why he’s parroting back those sentences. He should be elaborating on this kind of testimony. SGAA: I remember that part and that was when Matt Lauer asked him a number of questions in a row without allowing him to answer, is that the one? Yes, and that’s the problem you see, he should be elaborating but even when he was elaborating and like I said to you before, we have something called an emotional alert data base which triggers certain emotional responses and you think that being abused for seven years would trigger a really deep heightened emotion in someone but when you watch Wade Robson’s behaviour there is no alert data base that is being triggered internally. His subconscious is not reacting to Michael Jackson’s name and that’s interesting because if he had been, in my opinion, actually abused by Michael, there would be disgust there in his face and his voice. There would be anger, there would be shame, there would be sadness, there would be a whole host of negative reactions and there is non whatsoever. There is no flashes of any concealed emotion through Wade Robson and that for me speaks volumes because those kinds of memories that he would have over a seven year period would instantly fill his autonomic nervous system, which is the subconscious part, things we have no control over and they would have been inundated with sensations and emotions. Of negative emotions. Forced anger, shame and sadness, they all would be leaking out in Wade Robson. In his voice, his posture, his expressions, his gestures, there is none of that at all. Often, as I said before in the interview I gave to Dr. Gross, sometimes the absence of emotion is more revealing than the presence of emotion because we can train ourselves to say whatever we want. Often we find it difficulty to convince our body language that what we are saying is the truth and that often shows with the lack of behavioral movement and again it’s something that I said in the interview, when Robson talks about his breakdown, he’s very animated, his speech rate is clearer, he sounds more confident and I think he is telling the truth about his breakdown but I don’t believe it is Michael Jackson that caused his breakdown. It might be something else. Liars often suppress their gesticulations because they aren’t sure about which gesticulations are natural to them so they will naturally suppress them and also interesting on that point is research has suggested that liars naturally suppress any kind of movement because if the lie that they are constructing is quite cognitively demanding, the brain has got to work out a convincing story and with so much work happening in the brain it naturally reduces your behavioral animation because there is so much going on in the brain it can’t process the words and the behavior at the same time, it’s too difficult so if you watch the interview back again, you will notice how he is not animated when he talks about Michael, but when he’s talking about the breakdown he is very animated and that to me is a revealing moment as well because there are different behavior that are all linked to deception. Like I said before, there is no one behaviour that is associated with deception but when I hear parrot statements, when I see emblematic slips, when I see behaviour associated with deception like that, like a change in behaviour. When we are seeing suppressed movement as opposed to lots of movement, these are the kinds of things that do have an association with deception so yes,I watched the whole interview again. I’ve been keeping up to date, I actually listened to a radio segment where I think Wade Robson is going to sue Michael Jackson’s Dad, Joe Jackson, is that correct? SGAA: Oh yes, he says if he says anything further he will sue Joe Jackson so this is just getting a little funny but I did want to add — I heard you and it was very interesting on Dr. Gross’ radio show and you talked about “method acting”. Marilyn Monroe and Marlon Brando all did that. I thought it was very interesting and how you thought that this could be a performance. CJB: Yes, you’re right. It was from the 1930’s and it was from a Russian film director called Constantin Stanislavsky and he coined the “method acting” technique. It’s something I said because I didn’t see that Matt Lauer was empathizing with Wade Robson about these allegations, that Wade might now feel compelled to go onto another TV show and seek out another interviewer and hope that this person will empathize with his situation and his testimony and one way to do that is by using the Stanislavsky system and it is where you will remember and re-experience a traumatic time in your life to trigger the emotion that you want. Now if you want to flash disgust towards Michael Jackson and what he did to you all he has to do is think about something that he ate recently that repulsed him and was disgusting to taste so that facial expression will register on his face so it appeared when Wade Robson was talking about Michael Jackson he will flash disgust, now the disgust will be real because he is re-experiencing something that has happened to him. So the reliable indicators of the face will be activated because he is experiencing disgust but it’s not linked to Michael Jackson and because, in my opinion, he didn’t make a credible impression during his testimony, because there was no emotion there, he might try a different technique on his next interview. If he is savvy and since he is an actor himself, Wade Robson, he’s been in the public eye for a long time and he’s a choreographer things like that so he is well versed in different acting techniques. If he utilizes this technique then it would be very difficult for me to spot any problems but don’t forget the Today Show interview that he gave was very significant because that for me, revealed that he wasn’t telling the truth so it will be interesting if his behavior massively changes in the next interview. SGAA: Yes, because that was his first interview. CJB: Yes. Absolutely, and it would look suspicious if he utilized this technique. There is something else I wanted to mention before he is to do another interview because people might say “Oh, he looks really credible now, he looks like he’s really angry and really disgusted.” Yeah, but he might be thinking about something else when he is saying that so it appears that he looks angry, he looks disgusted, he looks sad. He might just remember something in his mind that triggers that emotion but you have to be quite highly skilled at that, especially with the cameras being on him as well, I mean he’s got to get his micro expressions in the right place and micro expressions are from our subconscious mind, you can’t usually consciously control that immediacy on the face because they can flash up at 1/25th of a second and that is something that you definitely cannot consciously control. There is no way that you can move your facial expressions consciously that fast. SGAA: Yeah, he seemed very relaxed to me, but that’s just me. I currently read in a UK tabloid, which I take with a grain of salt, that Wade Robson’s attorneys may be having a body language expert analyze a deposition that actually you analyzed and wrote about in your book, I don’t the name of it, I’m sorry, it is on on your you tube channel where he spoke about loving children and how he always wanted to be God like and how he totally denied the allegations, I know you remember the one I’m talking about? Why do you think, if this were true, Robson’s attorney’s picked this particular interview? SGAA: Yes, that’s the one. CJB: It was the News of the World one and you’re right there was an interesting point there, I think he was asked, “Did you sexually abuse Brett Barnes” I think and he flashed surprise there and it was almost in disbelief. Now those are reliable muscular contractions that Michael Jackson flashes on his face that have an association with surprise. There is no way around that, there is no contrasting argument with that because his facial expression is surprise and that is the type of expression you would expect to see on someone who hasn’t committed those acts I mean he is surprised that anyone would even consider making such an allegation, a ridiculous allegation about this. Like I mentioned in the book, if Michael Jackson had committed that, he would have flashed a different expression, he might have flashed a contempt smirk, he might have flashed fear at the fear of getting caught and that he was being rumbled, things like that but I don’t understand why they would focus on this interview because I have covered it. It would be interesting to see which body language professional covers this interview because I have covered this interview and I have covered it in great detail and I have given lots of examples during that segment and I rely on evidence from people like Joe Navarro, Desmond Morris, Paul Ekman, I back up my observations with the research. CJB: Yes that it’s exactly right. It would appear that kind of behavior has an aura of superiority and an aura of arrogance about it but when I’ve watched it again, it doesn’t, it’s more of a case of disbelief and again, it’s even more interesting because he doesn’t need to make a credible impression on the police investigator you know what I mean? That kind of behavior is natural to Michael Jackson and I don’t see in any way, shape or form that he is telling lies or telling a deceptive story during that interview but again, like I mentioned in the book, I only saw a brief segment of the video, I think the actual interview is over an hour and a half long and I only saw, I think it was only eight minutes or something like that but the eight minutes I did see was very revealing to me but it will be very interesting to see what conclusion that somebody else would glean from that interview that I did because I firmly stand by the analysis I gave for that particular interview. SGAA: It could be Dr. Glass, is her name Dr. Glass? SGAA: It could be her, who knows? CJB: Well I will look forward to reading about it. SGAA: I am too and it maybe true, it may not. Let’s hope not but we’ll see. Is there anything you would like to add Craig, is there anything you would like us to know about your new book or about something in the future that we would love to hear about? CJB: Well, amazingly enough, I actually started a new book. CJB: It’s been about a couple of months and it was all about how we develop emotionally, physically and mentally and throughout the different stages of life and that’s what it was about but it was after analyzing Wade Robson’s body language and it also mixed in with the near car accident that I had driving home from work that just made me realize about the importance of emotions. I said to my Mrs that I am going to scrap that book about how we develop because there is a book here about emotions and I think Wade Robson’s behavior has spurred me on to right about the importance of emotions and often it can be the absence of emotion that can often be the most revealing and how we’re not always in the grip of emotion but when we are, our behavior can be very almost childish and very destructive like when Joe Navarro sent me that replay back to my body language article I sent him. I was in the grip of a really strong emotion of anger and disgust and almost hatred to Joe because I couldn’t believe he could be so critical but then actually a couple of day later when I read what he put in the email he was actually being really helpful, he was like, “Oh Craig, just concentrate on these guys, avoid these because.. avoid these people…. avoid that.. and as I was reading I was thinking, “that isn’t bad at all. I can utilize this”. SGAA: It’s what overcame you at the time. CJB: Exactly, it’s amazing the behavior I displayed there and looking back was very childish of me and it just goes to show when I was in a grip of emotion I wasn’t consciously in control of my feelings of how I felt about the situation and it wasn’t an accurate portrayal of what Joe Navarro put in his email you see. He’d put something really helpful but I thought … “I can’t believe this guy” and it’s just amazing how when we are in a grip of emotion we can really make some bad choices and I’m talking about emotional awareness and how we can possible change that and avoid the trigger response and to really understand what is happening and whether or not it needs that emotion because that email that Joe sent me didn’t need the emotion that I displayed you see, because I misread it and that was my own fault and my emotions took over because that was a heightened emotion, I was really angry. Whereas on the flip side Wade Robson isn’t displaying the emotions that the situation merits you see. SGAA: Oh wow, you work so fast and the books are amazing so I don’t know how you do it. CJB: Well thank you, I’m very blessed, I have a lot of people helping me and a lot of support and it’s good. I’m quite focussed. It’s quite difficult writing when you have two kittens jumping all over you. SGAA: Craig I would first like to personally thank you on behalf of Stop Global Airwave Abuse and the MJ community for doing this interview and everything you do for MJ and for body language and I congratulate you on your success and I know your continued success in your future books. I want to encourage everyone to order and read Unmasked and Behind The Mask because they are truly wonderful and Informative books. Craig you are so humble and always so kind and forthcoming andust a really wonderful soul. I want to thank you very much for doing this with me and I hope your next book is a success and I’d love to speak with you again. I’ve left 5 out of 5 reviews on Amazon.ca, Amazon.com, on my Stop Global Airwave Abuse WordPress and I know you will get many more. SGAA: Well with everything that’s going on I want to make sure the book gets out there and people buy it and know that it is such a good book, such an easy read, it is well worth the money because I’m going to use it in daily life. It’s just that important. CJB: You have made my day, thank you very much.